Assure Heating and Plumbing can install underfloor heating in Essex and East London. We can fit a wide variety of underfloor heating to suit the project at hand. 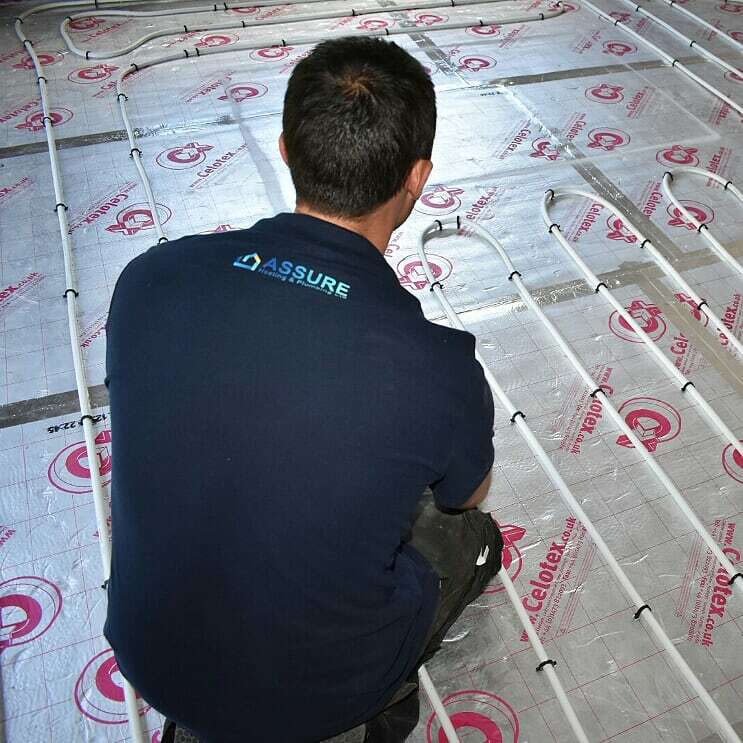 Assure Heating & Plumbing can fit a wide variety of underfloor heating to suite your home or commercial building. If you're planning an extension to your home, now would be an ideal time to get in touch with us to talk about having it fitted. We can even offer a "one stop shop". That means we can take care of the sub-floor, installing the Underfloor Heating, and pour the finished screed as well. Assure Heating & Plumbing specialise in wet Underfloor Heating, but we can fit an electric solution if that's what is required. Most of our customers are surprised by how little extra it costs in comparison to having radiators fitted. The cost of running Underfloor Heating can often be cheaper too. Heating from the floor tends to heat a room more evenly than traditional radiators.